The new four-story Mt. 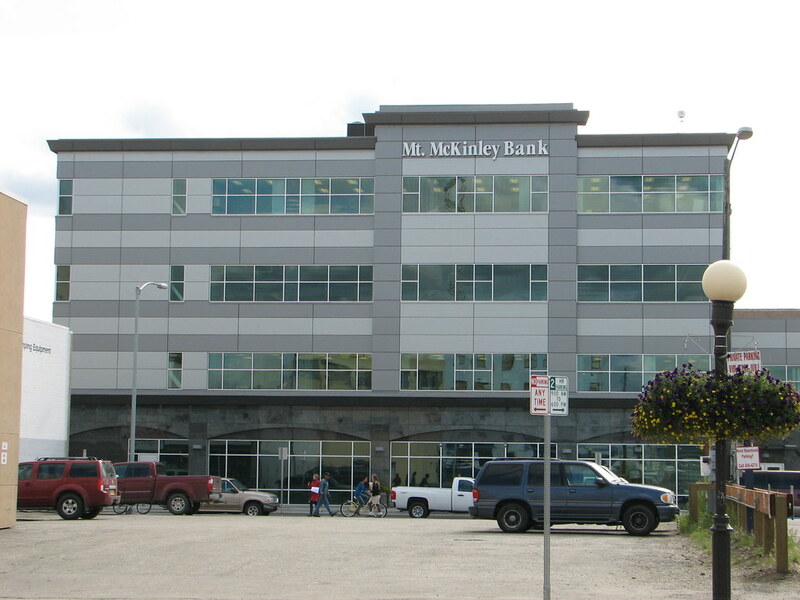 McKinley Bank building, recently completed in downtown Fairbanks, has approximately 10,000 sf per floor and is used primarily as offices. 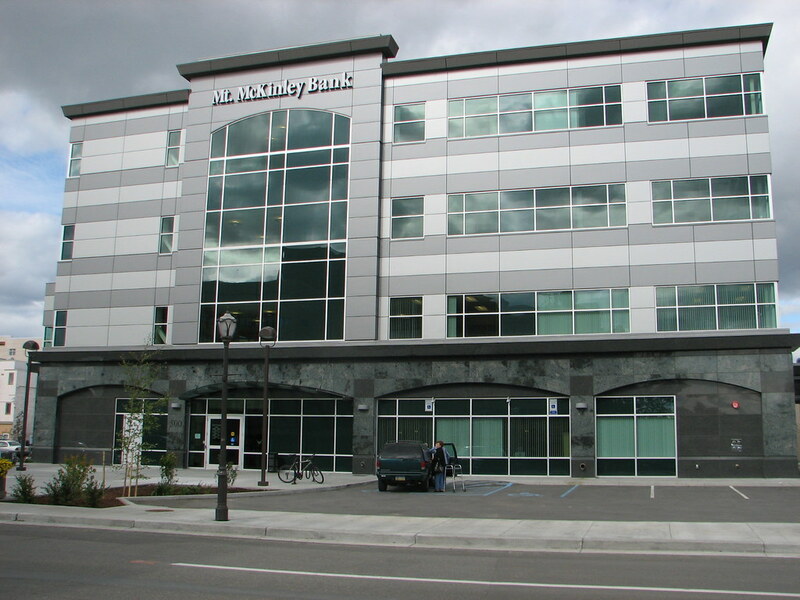 PDC provided the Structural Engineering. 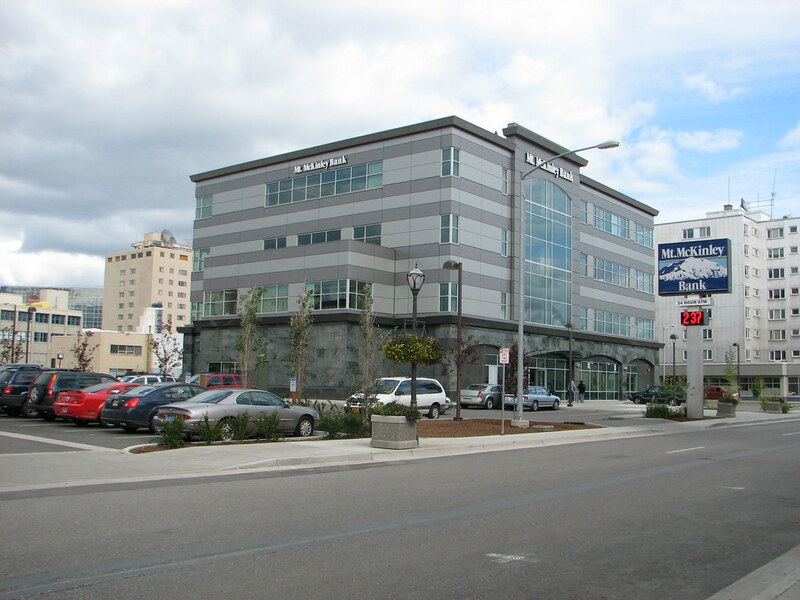 This is the first structure in Alaska to be designed using buckling restrained braced frames. These braces lead to significantly more efficient structures with improved seismic load behavior. Such braces are common in health care and laboratory facilities, where the importance of the research and equipment is considerable. We also utilized our in-house steel detailing software and were able to take one month out of the construction schedule. This had a big impact on the construction cost.